So, if I go to see one of the many faith-focused movies currently running, can I skip church that weekend? While you ponder that, here’s this week’s link-o-rama: Clicking anything below will take you to PARSE, the link list’s benefactor. A pastor reflects on being the one succeeding David Platt, even though Platt was never there. The downside of video preaching. 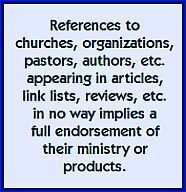 The most interesting thing about Thom Rainer’s late March list of Twenty of the Most Influential Evangelicals in America was the ongoing suggestions and amendments that appear in the comments. So…did Noah actually preach (as in the movie) or did his actions speak louder than words? Right now, John Hagee’s Four Blood Moons is a huge bestseller in the Christian book market. But author Mark Hitchcock does not think the coming eclipses are prophetic markers. Last Thursday a New York Appeals Court overturned a 2012 ruling which now leaves schools unable to rent space to religious groups in NYC. Imagine having access to everything Billy Graham ever preached, from 1941 to 2006, typed, underlined and marked with his handwritten notes, for reading, printing, downloading and keyword searching. Now everyone can have free access. Joni and Friends has released a new book for the fathers of children diagnosed with a disability. Read a free sample “Courage When There Are No Answers” the first chapter of Another Kind of Courage. …Meanwhile, the blog Stuff Fundies Like goes a bit off-topic in order to send a goodbye letter to a formerly sponsored child. Are you reading this in the popular Firefox browser? If so, you might want to read this. It’s getting to be a rarity to read an album review, but this one thoroughly covers the worship ministry of Paul Baloche and his new live recording. A different perspective on the issue of praying before everything from municipal to federal government meetings. What if it was this prayer that was in question? Oh my! A church-based mixed martial arts club? Teaching cage fighting to youth group kids? A pastor-vs.-pastor fight club? Check out this forthcoming film. I couldn’t figure out why the Easter Sunrise service was at 6:15 this year, but I guess if Easter is later, the sun rises earlier. Check out the time where you live. So you’re a young student in hermeneutics class, and the prof says, “…and whatever you do, don’t ever go to the Bible to find a text for Sunday’s sermon.” Wait! What? An Oregon mother was found guilty on all seven counts for the beating death of her four-year old son she thought was gay. A few books have noted that the average church reflects feminine tastes. Here are seven ways to get the men in the church more on board. Billy Graham soloist George Beverly Shea once sang, “Someone slipped and fell/Was that someone you?” I think of that line whenever I hear of another high-profile pastor brought down by moral failure. On Monday, one writer offered ten responses. Internet tracking organization Technorati’s fastest rising religion blog this month is deCompose by novelist Mike Duran. Most readers here know what happened to Growing Pains child star Kirk Cameron, but for kid actor Jeremy Miller, life went a different direction. Religious identity and national identity blur, creating problems for over a quarter of a million former Soviet refugees in Israel. Guest Speaker Sunday: Here’s eight things the guest speaker would like from the host church. Dress code, yes. Internal politics, no. Artist/Video of the Week: The JJ Weeks Band featured recently on this K-LOVE video. I think I left this one off a few weeks ago: A theory on the reasons behind the increased divorce rate among Southern Baptist couples. From the mind of Jon Acuff: Three things that are okay to do in church, and not okay to do elsewhere. Tim Challies imagines the type of Bible he would create if it were left up to him. There would be a Q&A section at the back. I had a great time on Saturday morning watching a time-shifted simulcast conference of Dr. Henry Cloud and Dr. John Townsend speaking on the principles of the Boundaries series of books. Want more links? 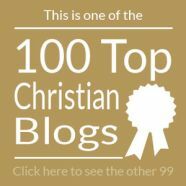 This week on my own blog I looked at the top Canadian Christian blogs. Also there, my recurring rant about interdenominational Good Friday services, and our own April Fool’s news story. 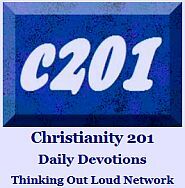 Paul Wilkinson’s writing the rest of the week is made possible by readers at Thinking Out Loud and at C201, and by viewers like you. Above: After a forever away from posting something new, Sacred Sandwich awoke as from a giant sleep. Below: This is from the Abandoned Pics Twitter feed: @AbandonedPics and is a wooden church somewhere in Russia.